(up to $2,000) with a retail purchase price of $999 and up. 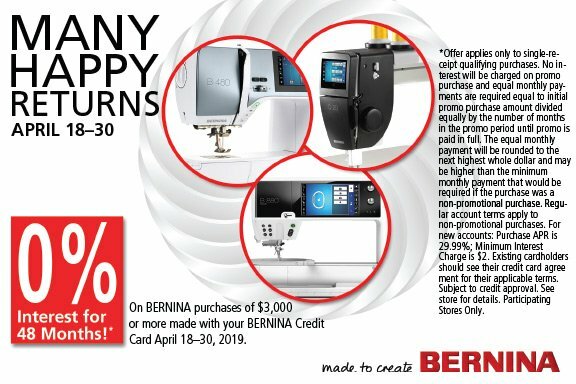 As an authorized BERNINA dealer, we sell the full line of BERNINA products including sewing machines, embroidery machines, longarm quilting machines, embroidery software, embroidery designs, sergers and machine accessories. Our focus on education and training is evident in our large classroom and trained dedicated staff. You will find inspiration in our quilt-shop quality fabrics, books, patterns,notions and beautiful store samples. Located in Ridgeland, MS, our store features a family-friendly atmosphere where you can take advantage of a wide range of classes for all skill levels. 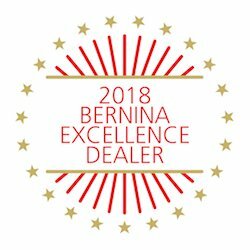 Our fun, hands-on sewing classes and clubs are taught by BERNINA Sewing, Etc. 's knowledgeable staff who are always available for assistance. All brands of embroidery machines welcome! 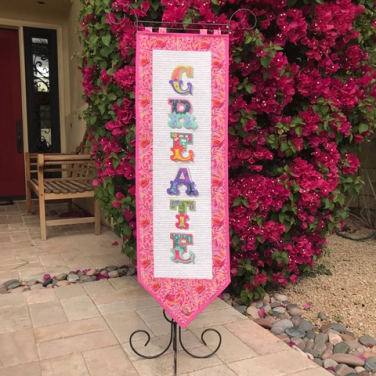 The Create Banner is a multi-hooped machine embroidery design that works with small and large hoops! ART50, .ART, .DST, .EXP, .HUS, .JEF, .PCS, .PES, .SHV, .VP3. Works with most home embroidery machines. The word, CREATE, has been divided into hoopings for individual letter, two letters at a time, and three letters at a time. Hoopings for one, two and three letters at a time will depend on the size of your hoop. Each letter is 4.12" in height and 4.50"in in width. There is 1/2" of space between each letter in the banner. Easy to follow, step-by-step instructions for embroidery and banner.